A catered lunch will be provided at 12:30pm. Please RSVP to recpt@kirby.unsw.edu.au by 5pm Tuesday 25 September. 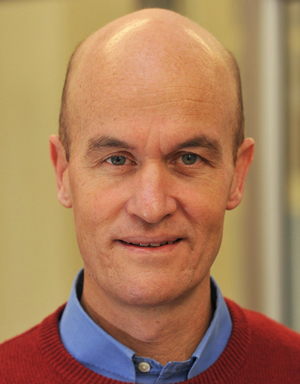 Graeme Meintjes is an Infectious Diseases Physician and Professor of Medicine and SARChI Chair of Poverty-related Infections at the University of Cape Town. His research focuses on the clinical conditions affecting patients with advanced HIV disease including disseminated HIV-associated tuberculosis, the tuberculosis-associated immune reconstitution inflammatory syndrome (TB-IRIS) and cryptococcal meningitis. He has been the PI or local PI of several clinical trials and conducts observational cohort studies that address questions related to disease pathogenesis. Around 10% of those who develop tuberculosis (TB) disease globally are HIV co-infected; among those who die from TB, 22% are HIV co-infected. Southern Africa is most severely affected by this co-epidemic. Diagnosis of HIV-associated TB is challenging and delays in diagnosis contribute to mortality. After patients start treatment, complications such as TB-IRIS and drug reactions may occur, and many deaths still occur particularly in patients hospitalised at the time of TB diagnosis. In this presentation, I will discuss our research that has provided novel insights into approaches to diagnosing TB in HIV-infected individuals admitted to hospital that include urine-based assays, the pathogenesis of TB-IRIS, prednisone for prevention of TB-IRIS, and the factors contributing to mortality in those hospitalised with HIV-associated TB.